There are lots of pitfalls when training to become a driving instructor and probably the 1st one you’ll need to get right is picking the right company or person for you. Our first top tip is to use a local trainer as they will not only be able to guide you through the minefield that are the tests but will also be able to give you some guidance on best training areas, the best driving school to sign up with if you want a franchise as well as being able to give you some advice on dealing with the local test examiners. Like all industries driving schools and trainers do what they do to earn money although I would like to think it’s not the only reason but they do need to pay their mortgage and put food on the table. So make sure you have a good look around and possibly talk to your local driving instructor association for some guidance. Ask lots of questions and look around. You’ve decided that you want to become a driving instructor and now you need to do it. The 2 main factors you need to consider when setting your own goals are the cost and time. How much time can you dedicate to your driving instructor training? How much can you afford to put towards your training and tests? These will be the 2 questions that will influence what targets you set yourself but make sure you set targets otherwise life will take over and the whole process will take longer than you really want. Whilst a lot of the theory questions can seem common sense don’t think you are going to be able to sit down and just flick through the Highway Code the night before and pass. You will need to read the Highway Code and learn the signs and marking in a small book called “Knowing your Traffic Signs” as well as the “Driving Instructors Handbook”. TO practice the tests and what you’ve learnt you will need to use a mock test program and there are many on the market. You will also need to practice the Hazard Perception test as it does have its quirks which can confuse people, especially things like “zero” scores which happens if the software thinks you are trying to cheat by clicking too many times. Take your time and go through the materials properly. Many driving instructor trainers use a buddy system where they introduce you to someone who is also training to become a driving instructor so you can both practice with someone else critiquing the topic. When training to become a driving instructor you will need to practice what you are learning and if you were working with a buddy it won’t cost you anything as it would with a trainer but because they are training they should also know the topics. If you know you suffer with nerves then maybe you need some extra help and if you talk to your doctor they be able to help you. We cannot recommend any kind of pills or remedy but many driving pupils use a herbal liquid called “Rescue Remedy” to help combat their nerves but before trying it read label and talk to the chemist. 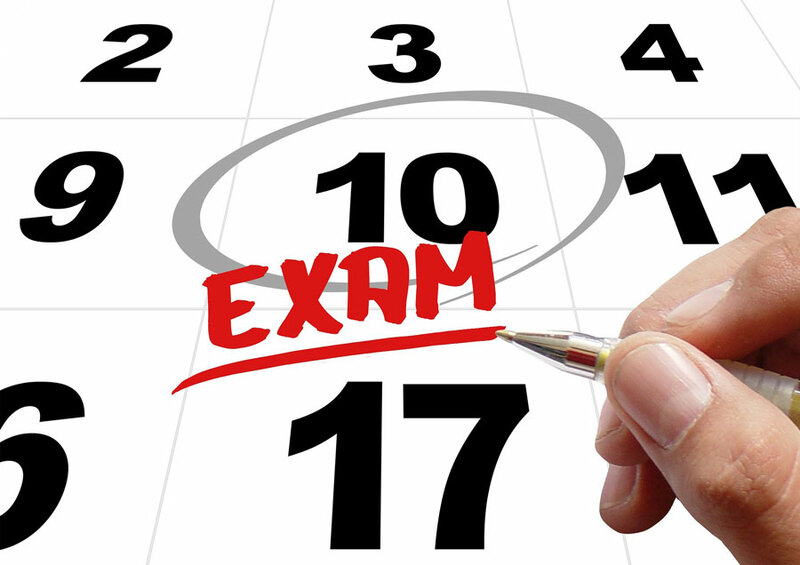 The part 3 (teaching) test has both briefings and debriefings on both of the subjects you will need to teach. The DVSA want a timely lesson which covers all of the elements so you must not only mention each element but you also need to ensure your timing of the briefing and debriefing are in the region of the recommended times. So keep it brief and to the point and remember to use your questions & answer techniques with open questions. It’s important that when you are practising to make notes in your own words. Start off with someone else’s note sheets by all means but as you start to understand the subject write your own version of the notes. You will find it easier to read. Make sure your notes are bullet points/reminders not long sentences as you won’t have time to read it all whilst on the test and you do not want to sound like a robot reading a script. If you are going to be using your own car during your part 2 and 3 tests you need to ensure that they are prepared for the test and I don’t mean giving it a wash/brush up. For the part 3 test you will need to display “L2 plates for the test as the examiner will be acting as a learner driver. If you make a mistake during your part 2 or part 3 don’t worry about it. In the part 2 the moment has gone and let’s face it the examiner may not have seen the error. There’s nothing you can do about so drive like you’re going to pass. I have known people make mistakes but because the examiner was so impressed with the rest of the driving they marked the error down as a minor fault. During the part 3 test if you make an error in your teaching you can cover it in your debrief. As long as you correct yourself in the right way you may get marked down but not to the point where it causes you to fail. Ignoring faults is easier said than done but the more relaxed you are the easier you will find any of the tests and remember you have 3 attempts at all of the tests so with some time and effort there is no reason why you shouldn’t pass all the tests. For more help and advice on learning to become a driving instructor, contact KUDOS Driving Instructor Training.